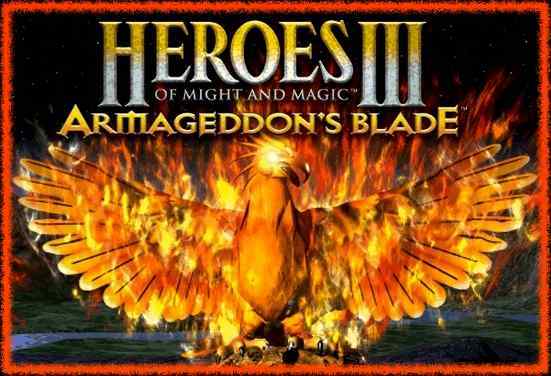 Heroes of Might and Magic III: Armageddon's Blade is a stand-alone expansion that requires the original game (Heroes III: Restoration of Erathia) to play. It can be added to Heroes 3: The Shadow of Death as SOD includes the original game. Heroes 3: Complete contains the original game and both expansions, but no Armageddon's Blade campaign videos. So if you want the campaign videos, you will need to buy the Armageddon's Blade expansion. AB expansion came before SOD and SOD includes most of the new features found in AB, but not the Conflux town and not the random map generator. Armageddon's Blade adds loads of extras to Heroes 3. You get a set of campaigns and additional maps, a random map generator for endless replayability, campaign editor, a new town type with a set of mostly new creatures and heroes, a pack of new neutral creatures, new map locations and gameplay enhancements. Among the most notable additions are the four dragons that are more powerful than any creature in Heroes 3. If you like Heroes 3, then I highly recommend that you get this expansion pack, or the Heroes 3: Complete. The Heroes 2 expansion and both Heroes 3 expansions have very powerful artifacts as their main theme. I guess us fans really love the really powerful artifacts :) The campaigns in Armageddon's Blade are quite challenging and involve interesting storylines, new town, artifacts and creatures. Once again, the campaign shows the story from multiple perspectives, and you will play for both the good side and the evil side within a single campaign! This way you will be both fulfilling the evil masterplan, and then stopping it - a bit confusing at first, but a very interesting experience. And yes, you will get to weild the powerful Armageddon's Blade against the bad guys in the final showdown! If it wasn't for the uproar of the fans, Armageddon's blade would have featured chainsaw zombies, bazooka goblins and naga tanks. I'm serious. You can see the screenshots and read the story in the Forge Town section. Keeping in mind that most of the work had to be discarded when the expansion pack was already over half-done (creatures, town, storyline, etc.) the end product is very impressive indeed. It definitely surpasses The Shadow of Death expansion pack in terms of what it offers.